Meaning of the stones I use in my collections. 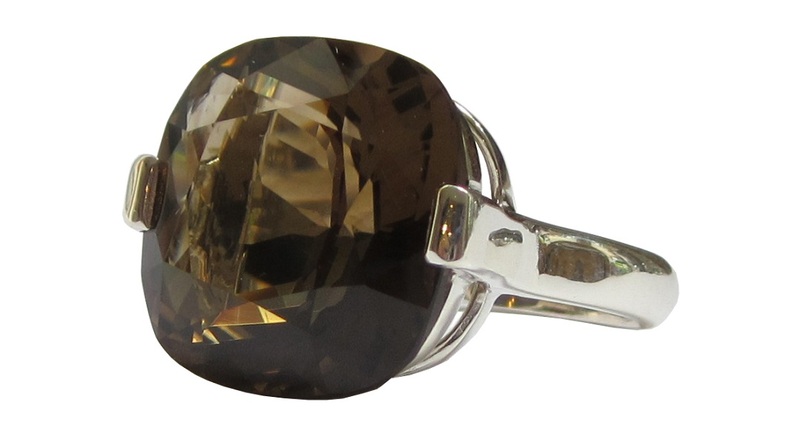 My gorgeous smokey quartz collection is a classic statement due to its beautiful shades of deep brown. It is known to bring abundance of prosperity and good luck as it commonly known for assists in making wishes come true by relieving stress, fear, jealousy, anger and other negative emotions by transforming them into positive energies. It is a helpful stone for enhancing and encouraging courage and inner strength. Smokey quartz is very comforting and calming, and can be considered a stone of serenity and is also known to be very helpful in relieving grief. My gorgeous champagne quartz collection is known to bring abundance of prosperity and good luck as it commonly known for assists in making wishes come true by relieving stress, fear, jealousy, anger and other negative emotions by transforming them into positive energies. It is a helpful stone for enhancing and encouraging courage and inner strength. Champagne quartz is very comforting and calming, and can be considered a stone of serenity and is also known to be very helpful in relieving grief. My gorgeous green obsidian collection is an elegant colour when worn. Green obsidian is a natural form of volcanic glass that is created when lava cools quickly to form a crystal. It has been used by indigenous cultures as far back as 700,000 BC.By shifting those draining energy from you this can create a sense of freedom for those wearing or carrying it. Green Obsidian is related to the heart chakra as well as the root chakra, creating a direct route from one to the other bringing a synergy of the energies of the two. My gorgeous blue obsidian collection looks stunning when worn. Blue obsidina is a natural form of volcanic glass that is created when lava cools quickly to form a crystal. It has been used by indigenous cultures as far back as 700,000 BC. Blue Obsidian in particular has a wonderful, dreamy, expansive energy, it has a way of clearing the mind of mental clutter, slowing our thought processes down so we take one thing at a time and do it well (instead of 10 things at once and we’re all over the place!). It also aids communication, so we can clear our head, receive intuitive information and then clearly communicate. It is a lovely, soothing, dreamy, gentle, but effective tool. My gorgeous Rose Quartz XXXXX (ring, earring, pendant) is a classic statement piece which is easy to dress up or down. 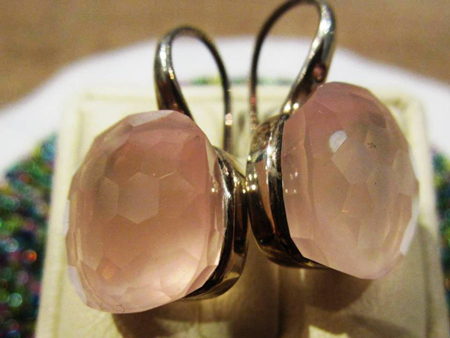 Set in silver, rose quartz is often called the "Love Stone." It's energetic hallmark is that of unconditional love that opens the heart chakra. This makes rose quartz a stone for every type of love: self-love, family, platonic, romantic, and unconditional. Bringing love in to life and daily situations not only brings inner warmth, but it also lowers stress and soothes those around it. Rose quartz is a very happy and loving stone. My gorgeous Blue Topaz collection is a heat treated stone and is very helpful for channelizing the thoughts and promoting the concentration power. According to Vedic Astrology, this exquisite blue stone helps to increase the ability to focus and meditate. Wearing this gemstone helps in making the wearer an effective communicator. My gorgeous White Topaz collection is a natural stone which is known to radiate similar to a diamond. White topaz symbolizes hope, love and happiness. It is related to the planets - Mercury, Jupiter and Venus. Topaz is related to the zodiac sign, Sagittarius. It displays protective properties such as healing, power, and positivity. 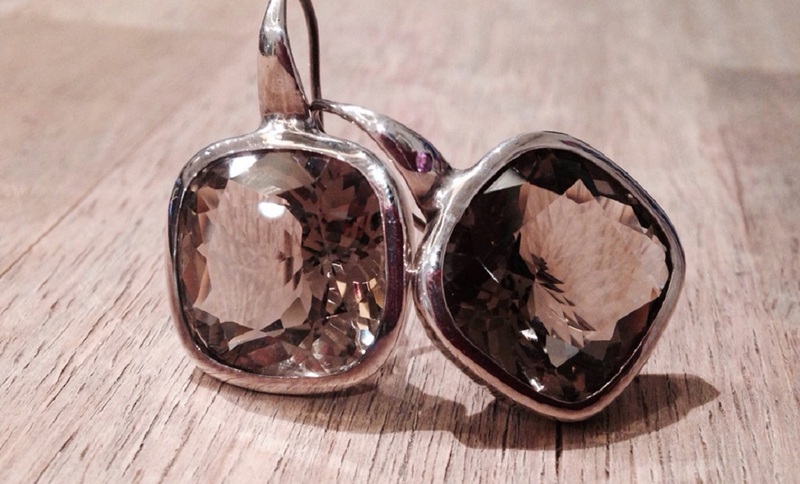 Topaz is known to promote happiness. My gorgeous white quartz is known to clarify thought processes and emotions increasing inspiration and creativity.